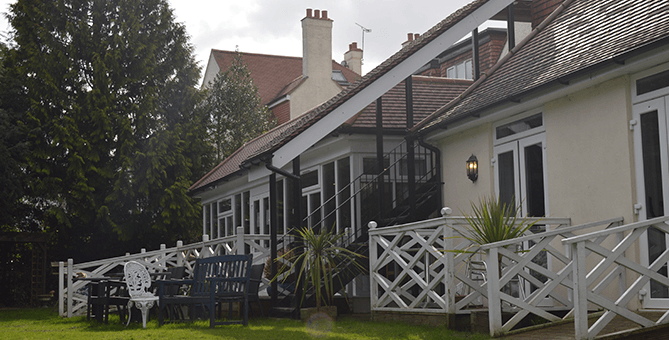 St Judes Nursing and Residential Care home is situated in Sutton, Surrey. We provide Nursing care, Dementia care, Residential and Respite care for elderly residents who may require help and support with their health and social care needs. The majority of our residents come into our care from South West London region particularly from the areas like Sutton, Merton, Worcester Park, Epsom, Morden, Tooting, Banstead and Wimbledon. St Judes Nursing home is located in a quiet residential area; however it provides easy access to all public transport services. Almost all of our bedrooms are en-suit and spacious and offer a choice of colour and furnishings which are personalised to suit our residents' individual choices and preferences. We offer a secure but homely environment that ensures that all of our residents health and social wellbeing are promoted. We, at St Judes place our residents at the centre of everything we do. "Care with Kindness" is the best way to describe St Judes and our core service objective is to give our residents the opportunity to enjoy a positive and quality life experience during their stay in our care. We recognize our residents' individual values and beliefs to be up-most important in planning and delivering person centred care (PCC). PCC essentially recognises every individual resident as unique and it takes a holistic approach in meeting the residents' health and social care needs. The residents themselves as well as their families are actively involved in this process. We use our residents prevailing abilities and strengths positively in order for them to lead as much an independent life as possible. Our dedicated team ensures that these objectives are met at all times. "I believe St Judes to be an excellent independently run care home offering 24-hour Residential and Nursing care, managed with humanity, understanding and compassion. I am proud to be part of the team delivering wonderful, attentive, tender loving care in a warm and friendly and professional environment."